The Parliamentary Labour Party (PLP) is not big on accountability – command and control goes way back before Blair extended it to the rest of the Labour Party, although MPs’ willingness to use even the limited levers available did rather evaporate during the New Labour years. But it looks like the PLP may abandon still more levers when it reviews its rules next week. Under the proposals of an unelected committee chaired by Margaret Beckett, the PLP looks set to abandon a requirement that an incoming Labour PM include elected shadow cabinet members in the new cabinet. Going too could be the limit on the size of the payroll vote (currently restricted to one-fifth of the PLP) and a requirement to have junior appointments ratified by a vote of the PLP. Beckett’s committee was set up last July, as we reported here, and its first batch of recommendations were put to the vote (back in September) (reported here and here). Even at that stage, the only options for change presented (apart from the much needed improvement in gender balance) were to reduce both the proportion of the shadow cabinet to be elected and the frequency of elections. 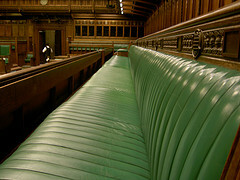 In the event, the PLP voted to retain elections for all shadow cabinet members and to elect the Chief Whip separately (a post previously appointed from amongst elected shadow cabinet members). The frequency of elections was, however, reduced to every other year. On the other hand , the direct election of the Chief Whip (though the post was uncontested this time) did not appear to be restricted to opposition — an improvement which is to be withdrawn. It seems that the risk of the PLP deciding to resist further erosion of accountability is being minimised this time by resorting to a trick the Blair machine used before. Instead of presenting amendments or a report which sets out the changes, MPs have simply been presented with a new 22-page rule book which fails to identify what changes are being made. Even some left MPs are cautious about the internal democracy of the PLP. More democracy in the PLP, they argue, will make it harder to justify rebellion. This is surely wrong: is it not always better to possess levers to secure accountability than the freedom to make pointless gestures? The trooping of the usual suspects through the Noes Lobby served only to reinforce Blair’s determination to prevent the selection of any new rebels. What should Margaret Beckett’s report have contained? PLP Rules should commit the PLP to give effect in parliament to the aims and values of the Labour Party (as set out in Clause IV of its Rules), and to its programme as agreed from time to time. Posted in: Labour, Politics, Westminster. The rules need radical reform. The media reported today that banks are financing the Conservatives but they have no direct influence on policy and leadership. In particular, it’s ludicrous that a leader cannot select his own management team and that policy could be made by groups with no professional competence. The union funding of labour should come with ‘no strings’ – no voting rights, just lobbying on behalf of members. And they should demonstrate that the policies they advocate actually represent members majority views. There should be a political element to union subscriptions which members can opt in or out of. e.g. I pay £5.00 per month for my union to represent me in my workplace with my employer or I pay £5.50 per month and the difference is used to fund the PLP. Only those paying the premium are counted in the union voting power.